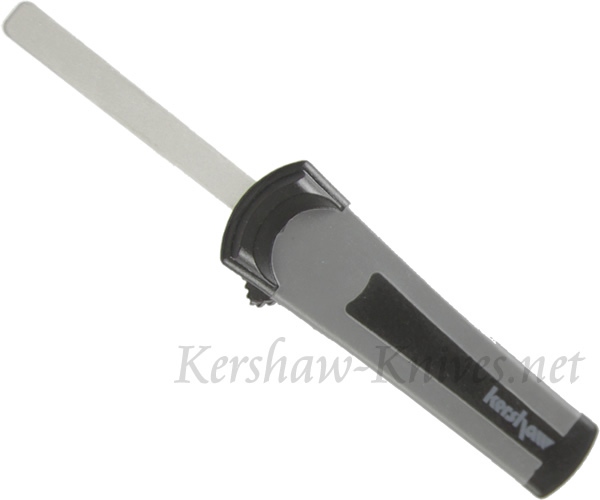 Inspired by the switchblade, the Kershaw Auto-Tek Knife Sharpener 2530 instantly opens with the slide of its switch. Finished with your sharpening chore? Just slide the switch back and the 600 grit diamond steel retracts into the handle. The black and gray handle is injection molded Santoprene for a comfortable gripping area that allows you to keep a firm hold. At only 4.5 inches and 3.4 ounces, the Kershaw Auto-Tek Knife Sharpener 2530 is ideal to throw in with your tackle, camping gear, or tool boxes.